The decision of the CJEU (a.k.a ECJ) in Case C-115/09 Bund Für Umwelt on 12 May goes right to the heart of environmental challenges. 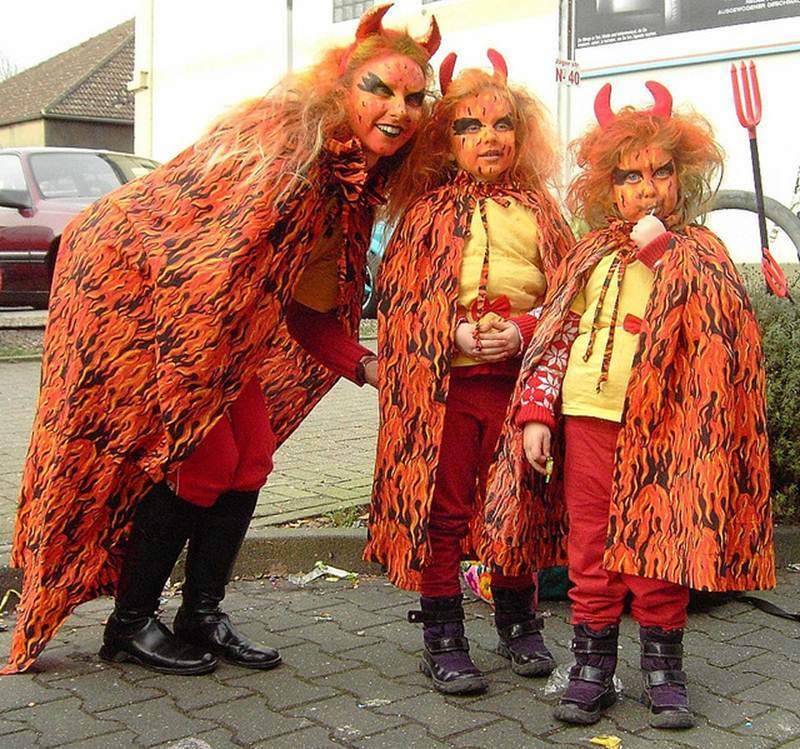 Friends of the Earth wanted to challenge the grant of planning permission for a whopping new coal-fired power station in Lünen, Germany, where these carnivallers are from. The power station is destined to produce up to 1,750 MW of heat and 750 MW of electricity (to give an idea of scale, one huge offshore wind turbine might deliver 5MW when the wind is really blowing). The case was about the adequacy of the Environmental Impact Assessment carried out on the proposed plant, not least because there were 5 Special Areas of Conservation within 8km of the site. The local court was concerned that the domestic law (including the EIA rules in the Umwelt-Rechtsbehelfgesetz) stood in the way of FoE’s challenge, because it precluded challenges unless the impugned legislative provisions conferred “individual rights”. Art. 10(a) of the 85/337 EIA Directive – deriving from the Aarhus Convention – requires Member States to afford members of the public and NGOs the right to challenge planning decisions as long as the claimant has a “sufficient interest” or maintains “the impairment of a right”, and Member States can choose between these alternatives when implementing the Directive. Or can they? Well, they could, and they couldn’t, said the CJEU. They could, but they couldn’t deprive NGOs of playing the role conferred on them by the EIA Directive. And this is where one starts going round in circles, because that EIA role also included the choice conferred on Member States as to standing rules. In truth, the choice is Hobsonian if you configured things as the Germans do; they didn’t really have that choice because it was no good having standing rules which didn’t allow NGOs to get off the starting blocks. The EIA Directive had lifted some wording from the Aarhus Convention which was a classic international law-making fudge on this point. Who knows what it means and how standing fits with the intention to enable challenges, but let us not allow that spat to get in the way of concluding a Convention – leave that problem to the poor courts later asked to apply the law. There are all sorts of difficulties swirling about here. If we Brits talk about impairment of a right, we tend to think about an interference with a substantive right, say, under Article 8 ECHR to home and private life. But in many bits of Europe, and in a lot of ECJ environmental caselaw, it means something rather wider – it may amount to no more than the right to complain about the non-enforcement of some provision. In UK terms this of course would mean standing to complain about some unlawfulness. And it is this wider meaning that led the CJEU to its decision. After all, it is nonsense for the EIA Directive to grant standing to NGOs, and then interpret the same Directive as enabling Member States to ungrant that standing. Another undercurrent was the Environmental Rights Paradox. Redolent of Epimenides the Cretan, all us Europeans have environmental “rights”; because we all have them, it is said that none of us have them.This is a bit like the test for breach of statutory duty domestically where the wider the pool of beneficiaries, the less likely the court will decide that the provision was intended to confer rights at all. the court may record facts ex officio, examine whether all the factual elements necessary for a decision were present, evaluate the legality of the decision….and verify that the decision was not taken ultra vires. The court may exercise its power of review even where administrative bodies have a margin of discretion. All excellent stuff, but it did not follow that, as the German Government asserted, limited resources enabled the State to ration the cases which got the benefit of that intrusive review. After all, there is no necessary connection between standing and the merits of the underlying case; you might have the most flimsy connection with the project, but an absolute corker of a point. So are we Brits entitled to crow about the case? Well, yes, because we had the standing debate about 15 to 20 years ago; there was the restrictive case of Rose Theatre (funnily enough decided by Schiemann J), and then a number of more generous decisions such as Pergau Dam/WDM, and Dixon which ushered in the current flexibility. Judges these days are far more interested in looking at the underlying legality of a decision without bothering too much with the identity of the person taking the points, though they might be wary about signing up for all the elements of what the German Government says its courts do when they accept a case. But any crowing should be short-lived, because of that last caveat. The Aarhus Compliance Committee has previously “expressed concern” about the narrowness of Wednesbury-style domestic judicial review in the Port of Tyne case, and this problem is yet to be addressed.